The very last morning we stay in Hatyai, we took the opportunity to visit their "Tua Pasar" (Big market") to grab some cheap local stuff, is definitely a paradise of shopping, from dried seafood to clothing. The visit is indeed fruitful. While ladies were enjoying their shopping, what should men do? 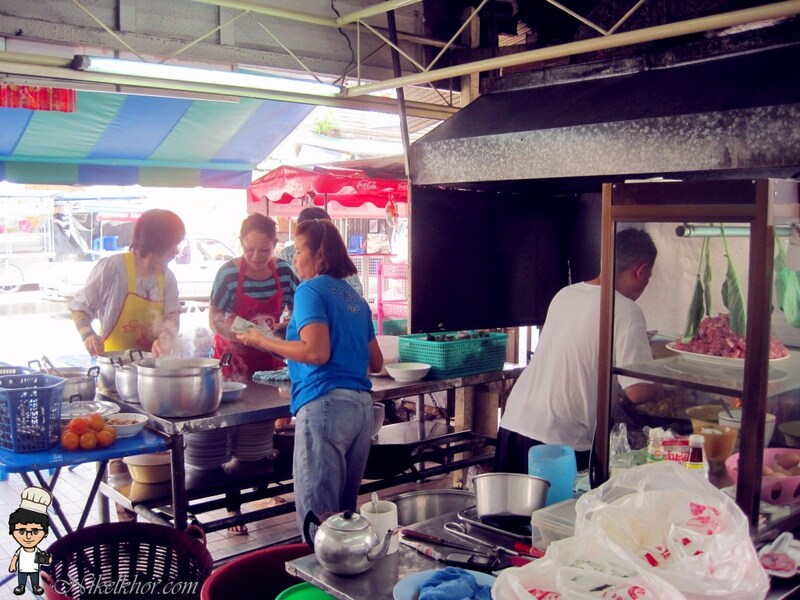 Apart from the typical Tom Yam and Som Tam, Thailand is also famous with its coconut. There are few coconut stalls set up at the roadside, so if you're looking for a place to sit down and have a sip of refreshing coconut juice, you have plenty choices. The green and young coconut is the usual beverage we opt for. How about baked coconut? 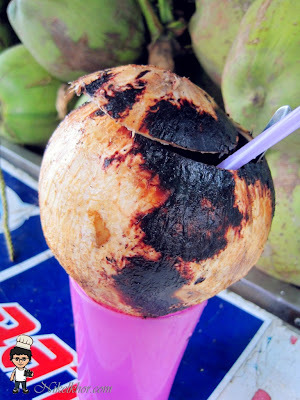 The coconut was send into fire and burn for few hours to let the coconut juice to be boiled inside, just like oven. After that, they will immerse it into cold water and ready to serve. The taste is slightly different, the pandan's fragrance is stronger. And according to the traditional said, cooked coconut is not so "cold". Before we going back to Malaysia, we visited a Chinese stall located at the street side of Hatyai town. 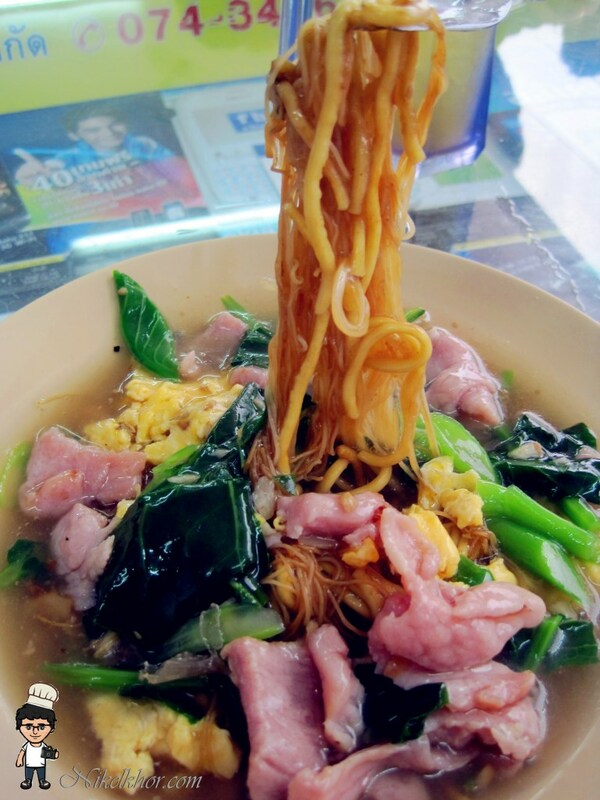 It is famous and popular with the Wok fried noodles with pork. This is the shop stall hidden in front of BP grand suite hotel which is the landmark for you to look for it. The restaurant is extremely busy during lunch hour, as the restaurant provides delivery service. It is not easy to handle both walk in customer and delivery service, so bear with long waiting during lunch hour. The fried mee is similar to Mee Hailam in Malaysia. The Mee and Mee hoon are slightly deep-fried, and pour on the top with thick and flavourful gravy. 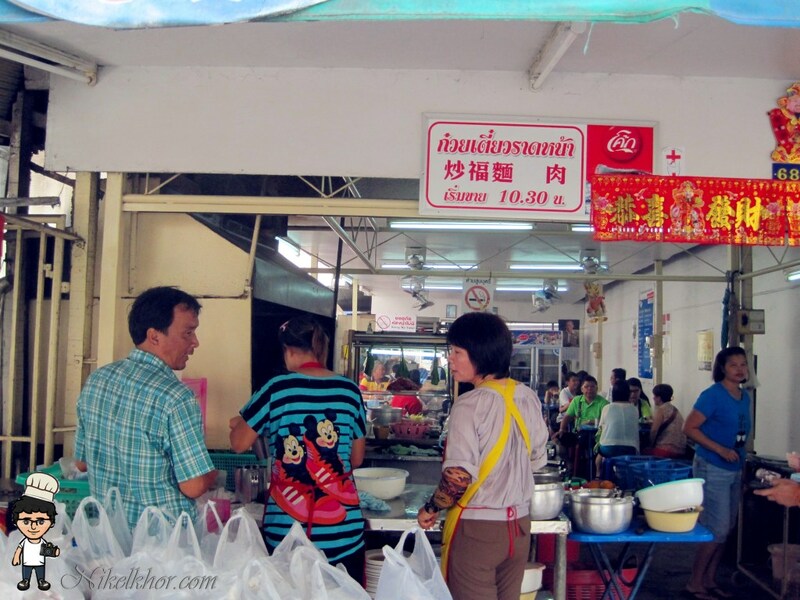 They mix yellow noodles and beehun normally, is the typical combination for local. Even now, I still can recall the good taste and smooth and tender texture of the pork. It just simply nice and juicy ever ate it. The kitchen and the "master chef" are in front of the restaurant, where you can know how busy they are. To maintain the standard of the food, only one chef is handling the cooking job, this is the reason the foods are served slow, but chef's grey hair and good skill is definitely a guarantee to the good taste of food.